The equation is simple. The weight change is equal to the calories consumed minus calories burned. Exercise will not only help to expend energy but also easy to grow muscles that constantly burn energy. In terms of food, the best rule is balance, not overeating and not deprive adopt good eating habits and still have a fulfilling social life. Carbohydrates (sugars and starches) are not your enemies. They are transformed into glucose by the body for providing a source of energy which can be more or less good according to its nature. The glycemic index (GI) of food measures the ability of a carbohydrate to raise blood sugar blood. More it is, the higher the blood sugar increases. We must therefore focus on foods with a low GI. Without build your diet around the glycemic index, the monitor contributes to weight loss and prevention of cardiovascular disease and diabetes. What are carbohydrates and avoid those favored? Responsible mainly for weight gain, the high GI carbs are refined grains (white flour foods: breads, sandwiches, pizzas, burgers, pastries, white pasta …), sugary foods (candy bars, sodas …) some prepared food and industrial potatoes. So Avoid sugary or processed foods, do not eat too many potatoes, replace refined grains with whole grains (bread, pasta, rice and complete muesli …) and use whole meal flour for your baking. These cereals have been processed and are much richer in dietary fiber and full of qualities; their GI is very low compared to refined grains. From the point of view health, all protein sources are not equal. 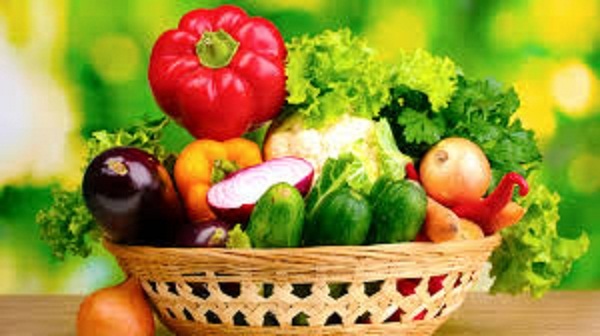 You should eat more animal protein such as fish or chicken and vegetable proteins such as nuts or beans instead of red meat and whole dairy products; these are certainly good sources of complete protein, but they are rich in saturated fats and increase bad cholesterol (LDL), their consumption should be moderate. Mixer protein sources (poultry, fish, eggs, beans, nuts, legumes ) and increase their consumption compared to carbohydrate enhances your good cholesterol (HDL) and triglyceride. Choose good sources of protein rich unsaturated fat is some help for your line and your heart! Beware of liquid calories Watch what you drink is as important as watching what you eat. Avoid sodas. Daily consumption of sweetened beverages (150 calories per can) is 7 kilos in about 1 year and 2 times the risk of diabetes. If you drink alcohol, drink in moderation to keep only the benefits (e.g. in the Cretan diet 1 glass of red wine per meal is allowed for its richness in poly phenols). Do not start as long as you do not drink. Tea and coffee without sugar and drink in moderation are good for health and decrease the risk of kidney stones and type 2 diabetes. You can take vitamin supplement by way “health insurance.” These supplements should be considered only as part of a healthy diet. 5 vitamins that most people do not get enough in their diet are vitamins B6, B9 (folic acid), B12, D and E. These vitamins are essential in the prevention of cardiovascular disease, certain cancers, osteoporosis and other chronic diseases. Before taking dietary supplements, ask your doctor who will not fail to prescribe a blood test to detect any deficiencies.